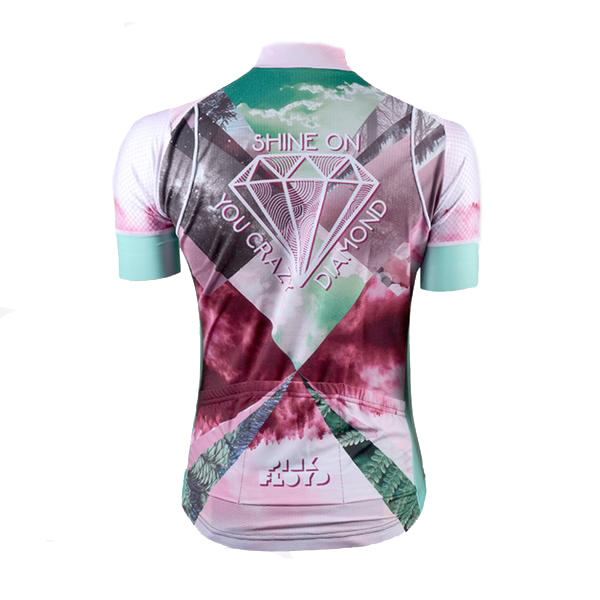 Pink Floyd Shine on Diamond Women's Helix 2.0 Jersey. Primal's greatest hit remastered for extended performance value. 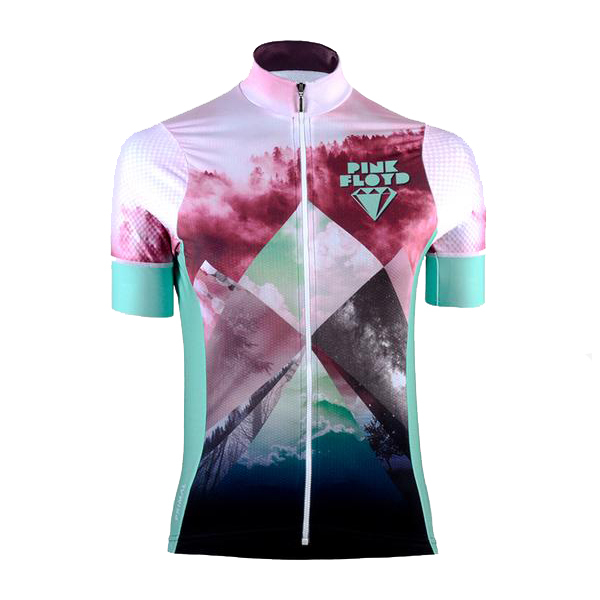 The fabric contains silver ions that destroy bacteria and eliminate odor. It moves and stretches with your body like a second layer of skin meanwhile promoting blood flow and wicking sweat from the surface of your skin. 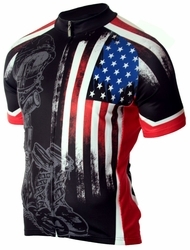 The Primal Helix 2.0 Jersey features laser cut arm bands that reduce air surface tension and lock the cuff in place.